Great for siphoning liquids - cleaning aquariums, filling kerosene lanterns, and much more! This Liquid Transfer Pump is a great addition to your vehicle emergency gear. Whether you are filling kerosene lanterns or siphoning water from your rain barrel to your water filter, this electric pump makes fast work of small jobs. It pumps 5 - 6 quarts of liquid per minute, including gas, water, oil or other noncorrosive liquids. It features tough synthetic polymer construction and requires two D batteries (not included). 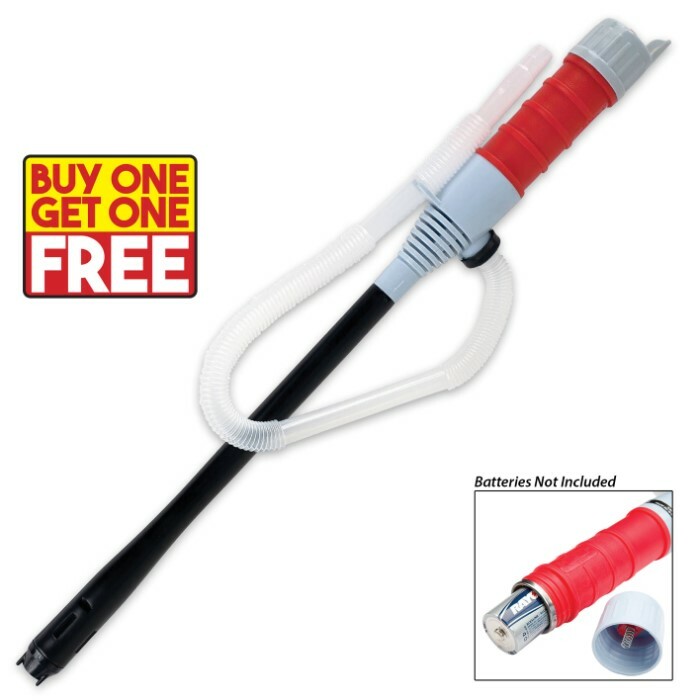 The siphon hose is 24” long; for a limited time, you get two of these transfer pumps for the price of one, so, you can give one to a friend! Works as advertised. Better than manual method. Works well for cleaning our turtle aquarium. And costs less than a non powered one with the word "aquarium" on the package.